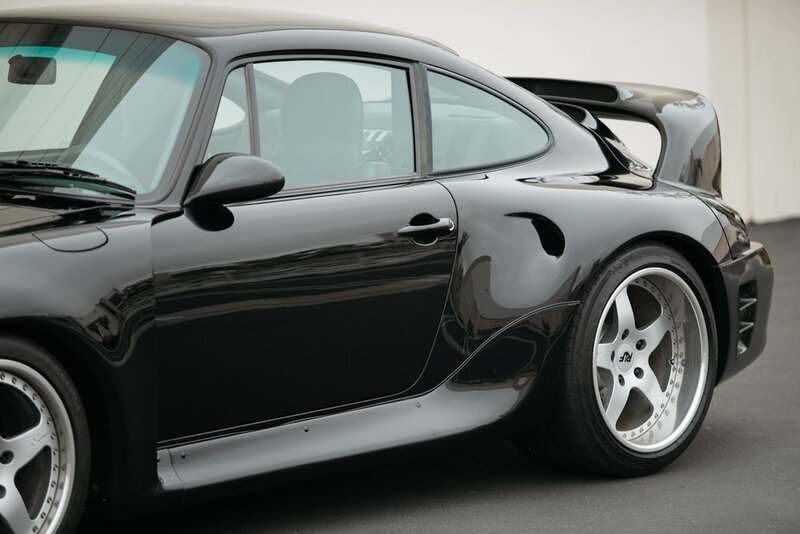 Based on the 993 Carrera, the RUF CTR2 represented a modern successor to the RUF CTR “Yellowbird” with a number of innovations. 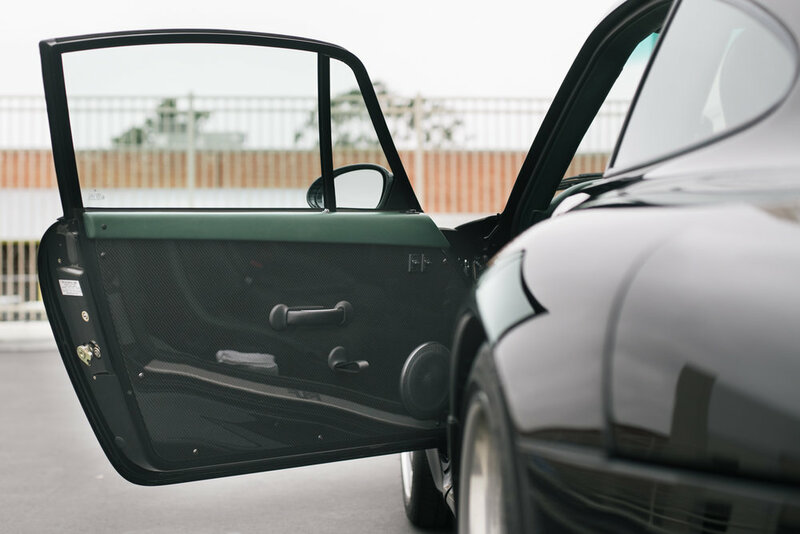 It was built on a narrow coupe body, the gutters of which had been removed for improved aerodynamics. Its nose was reshaped for more front downforce and to pass more cooling air. The sills were shrouded and the rear valance had a central cut-out for two tailpipes and additional side vents for the charge air intercoolers. The rear lid also had an opening for the engine air intake. The air-cooled 3.6 liter twin-turbo engine was fed by a pair of turbochargers. With an 8.0:1 compression ratio, the power unit developed 520hp at 5800rpm and maximum torque of 505lbft at 4800rpm. 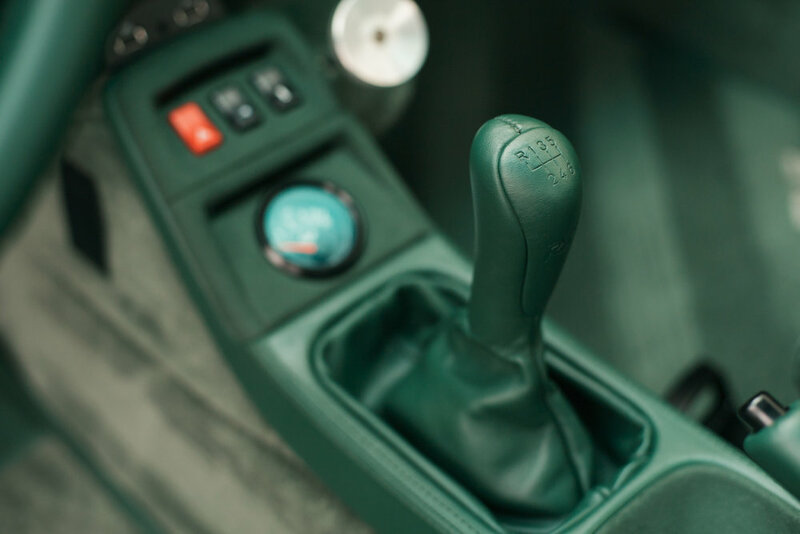 Standard equipment included a six-speed manual transmission and limited slip differential with a 60 percent lock-up factor. 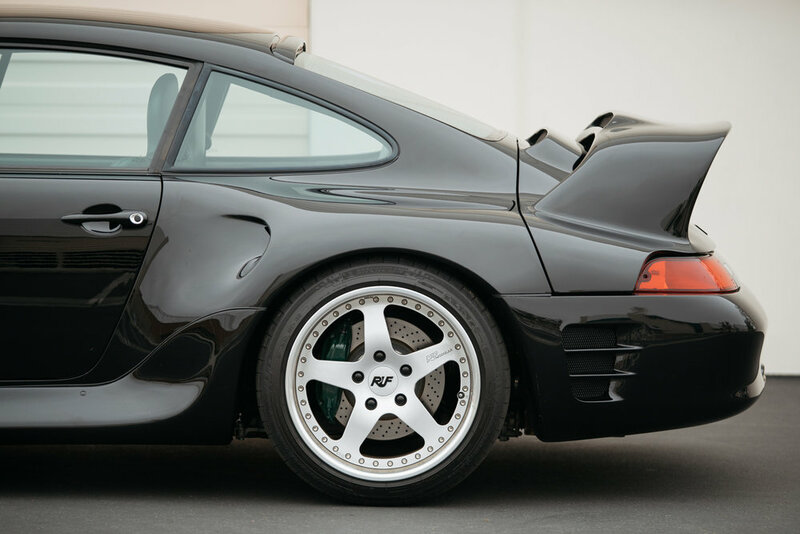 As an alternative to the RUF CTR2’s standard rear wheel drive, customers could opt for all-wheel drive for an added cost. 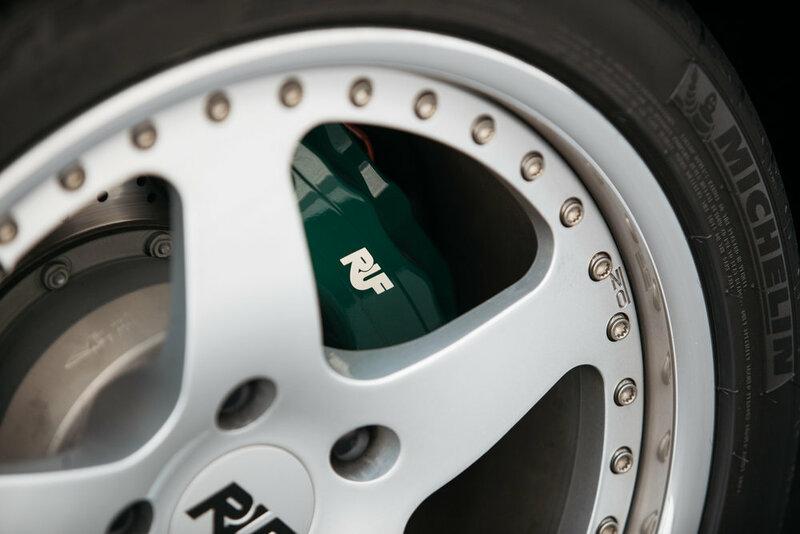 The suspension was given firmer sports-oriented tuning, and benefited from RUF’s pioneering work on carbon brakes. For the first time it was possible to tune a carbon brake system (at the time usually only found in racing) for reliable cold operation. Carbon brakes combined light weight and extremely good braking effect even under continuous heavy application. Forged magnesium wheels, 19 inches in diameter, were made by OZ Racing. Weight saved over aluminum wheels was about 13lbs per wheel. The unobtrusive IRC (Integrated Roll Cage) was welded to the body and provided additonal structural reinforcement. 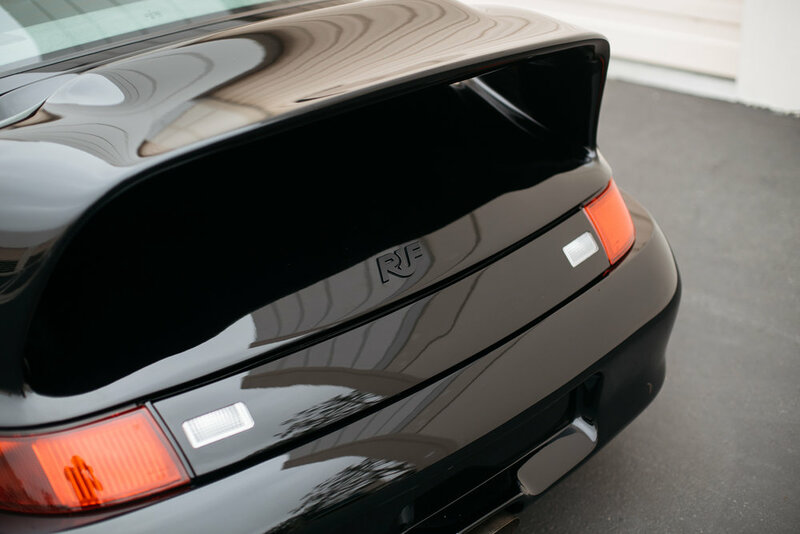 In rear drive trim, the RUF CTR2 weighed only 3040lbs. Acceleration was brisk, with the 0-62mph sprint taking just 3.6 seconds, and the 124mph mark passed in 11.4 seconds. Depending on gearing, a top speed of up to 211mph was possible. 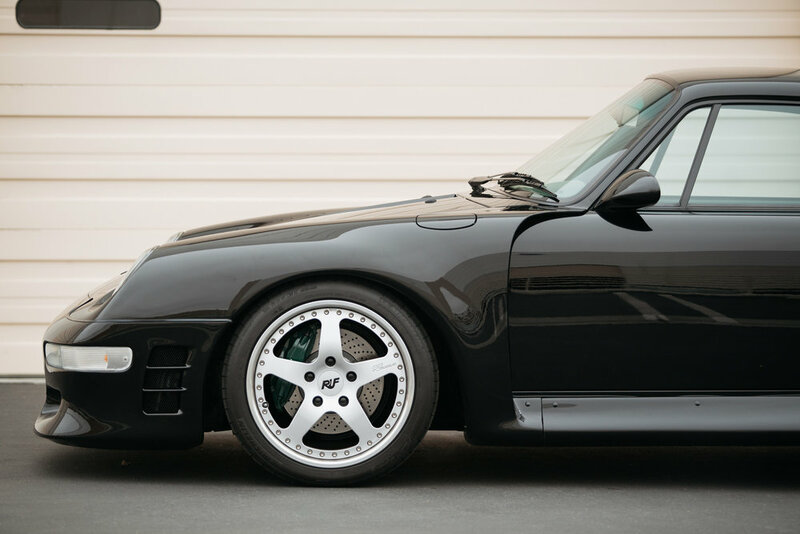 The RUF CTR2 was soon followed by a wide-body lightweight version, the RUF CTR2 Sport. Wider body panels allowed for larger wheel and tire packages. Horsepower was brought up to 580hp at 5800rpm and 575lbft at 4800rpm. Further enhancing acceleration and top speed.